Ok, finally I got to a GREAT recipe. 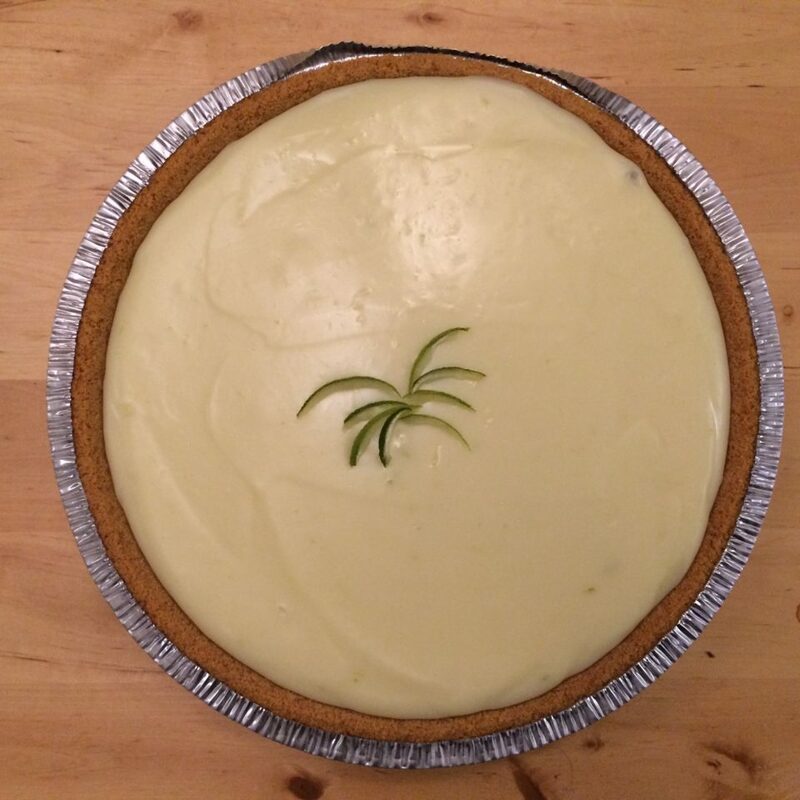 This will be my Key Lime Pie recipe from here to the end of my days…! It’s a delicious and easy recipe… Yeap, the “healthy” word it’s out of the equation for this time! 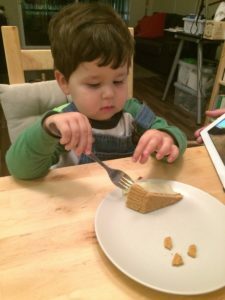 1 (9 inch) prepared graham cracker crust (here’s a recipe for the crust or you can buy one ready from your local grocery market). 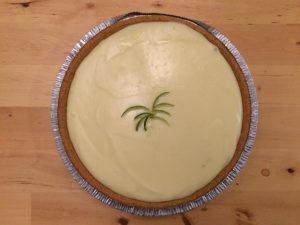 As any other time that you’re going to prepare a dessert or a bakery specialty you need to have your oven ready, so preheat it to 350 degrees F.
In a bowl, stir the sweetened condensed milk, sour cream, lime juice and lime zest until everythings it’s integrated. Pour mixture it into the graham cracker crust. 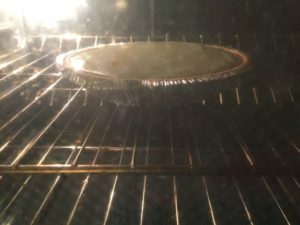 Bake in preheated oven ONLY for 5 to 8 minutes, you’ll notice some tiny bubbles burst on the surface of pie. Beware of the time, you don’t want it to get brown. Take out the pie and let it rest for one hour. Put in the refrigerator and let it chill before serving, 12 to 24 hours it’s a good time. Use heavy whipping cream ore meringue on top to decorate. 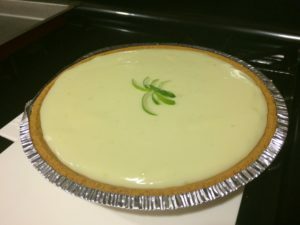 The pie shown here was made with twice all the ingredients because I didn’t want to use meringue or heavy cream on top of the pie. I have to tell you, this pie doesn’t need any cream or meringue because , it’s delicious as it. Follow the same directions as for half of ingredients.